DeltaVR Virtual Reality Headset Stand: a simple stand for holding your VR headset. It has a fiberglass head. 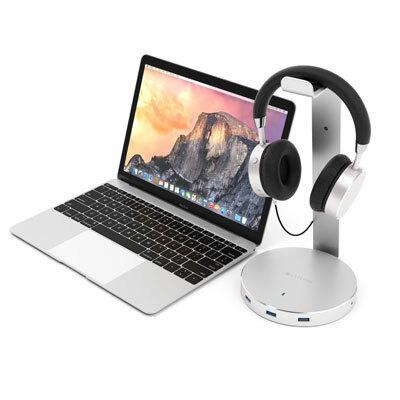 Satechi Headphone Stand Holder: holds your headset and has 3 USB 3.0 ports to connect your gadgets. It also organizes cables. 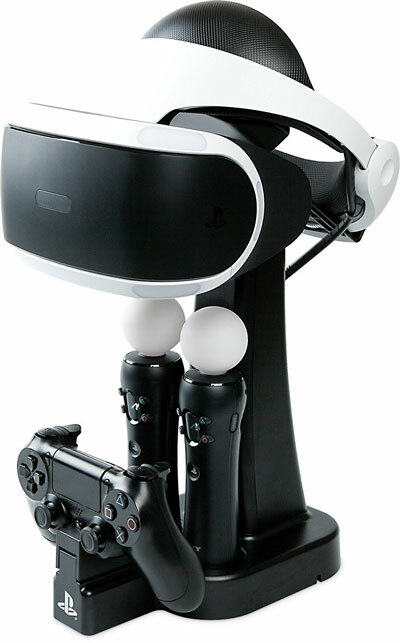 POWER A Charge & Display Station: holds your PS VR headset. It can also charge your controllers. 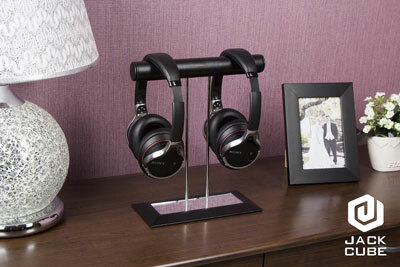 MOCREO Headphone Hanger: a detachable headphone stand capable of holding two headsets. It fits pro and DJ headphones. 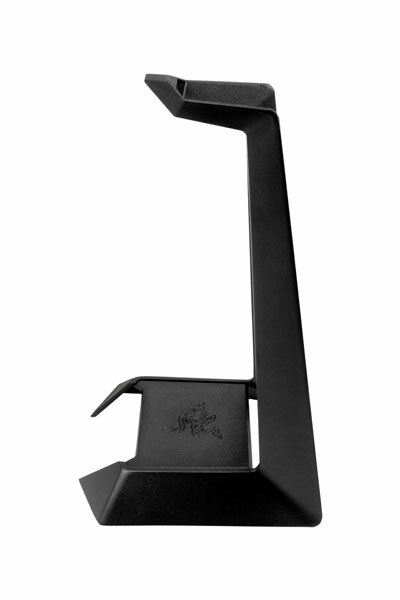 Razer Headphone Stand: this stand is made of aluminum and has anti-slip feet. It fits Razer headphones (and products from other brands). Jack Cube Headset Stand: a headset organizer that holds up to 2 headphones. 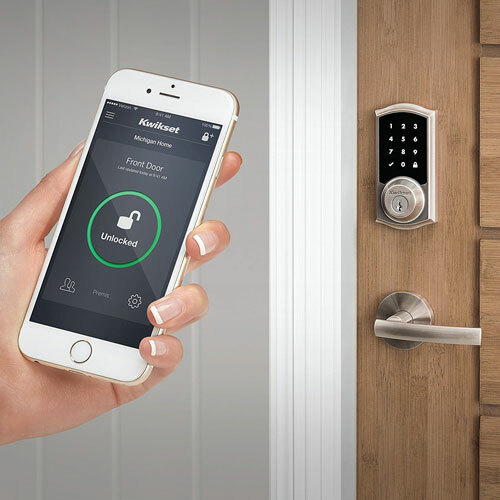 It features a synthetic leather surface. 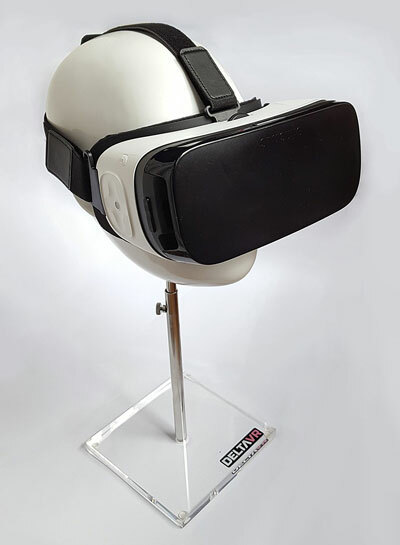 Cybust: a premium virtual reality headset holder compatible with Oculus Rift, HTC Vive, and other comparable headsets. 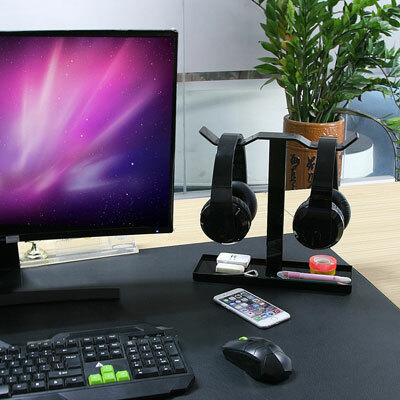 Have you found better headset stands? Please share them here.